Finally updated to Gnome 3.6! Thanks to strycore, who has done it possible and now he is fixing minor issues. 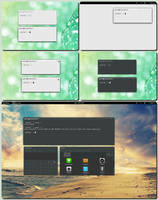 A squared variation of the unity and metacity theme GTKdroid packaged with the GTK3 theme NIX. I have also included an alternative metacity theme for Gnome Shell based on Nööp theme. All credits to the original authors. 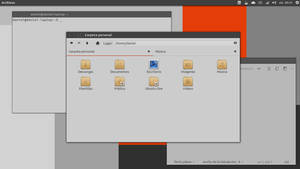 Changelog (15-08-12): added a new alternative metacity theme for Gnome Shell (reNIX GS). Changelog (16-08-12): change prelight colors in metacity and Unity themes. Changelog (20-08-12): reNIX GS metacity with new borders and other minor fixes. Changelog (22-08-12): color fixed in unity panel and other minor fixes. Added new GS theme link to description. Changelog (25-08-12): fixed search button in nautilus. 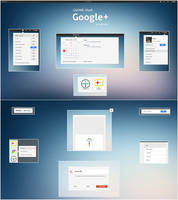 Changelog (29-08-12): menu font color changed and unified. Lines 15,122 : value="blend/#2627290/gtk:bg[NORMAL]/0.5" , color="#2627290"
This is from the latest version available the moment I'm writing this. Tch... complete mess I meant the "flase" value for Line 28 and the non-existent "#2627290" for lines 15 and 122.
i like this theme, but with gnome 3.6 in ubuntu 12.10 the close and minimize are not as shown. This is one of my favorite themes I've ever used on Linux. I'm sick of all the newer themes being variations of just grey. 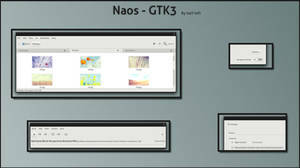 I'll be looking for some info on GTK 3.6 and how to port it, but considering the direction the GNOME devs are going, they'll probably purposely break all themes in the next GTK update anyway. Thank you Ershio. Yes, I suspect the same about future GNOME releases. I honestly think that GNOME devs have lost the point. 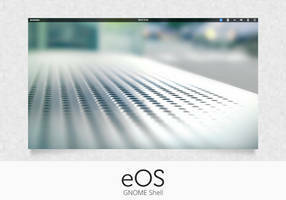 GNOME is a desktop environment, not a distro. It should be more long term stable and a lot more customizable. Anyway, I would update the theme if I knew how to. Wow great job with the port so far, it's much appreciated. 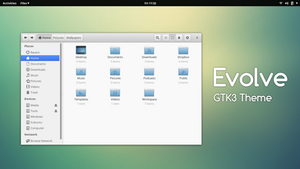 I'm sorry I tried looking for information on theming GTK3 but there is a surprising lack of information on doing so. You did it man! Thank you very much! I wonder if I could update the theme using your fixed work or maybe you could share it in a new entry as reNIX 3.6 or something similar. As you wish. I think that the checkboxes (unchecked) may feel better being gray or white. Now, blue seems weird to me. That is the only issue that I can see for the moment. If you don't use git, github also lets you download the whole project as a tarball. Please note that I haven't included the Gnome Shell theme since I don't run GS and didn't want to mess with that. There are issues with slider widgets which should have a transparent background, that's probably related to the checkbox issue you're talking about. I have noticed that overlay scrollbars are black instead blue. And I think that the labels text color could be white instead black. I´m sorry dude... 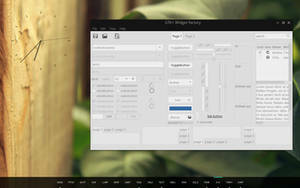 I have not really idea how to upgrade the gtk theme. I googled for a tutorial but I found nothing useful. I hope somebody wants to do it, or tell me how to do it myself. Some things are not working in ubuntu 12.10. I hate myself for doing the upgrade, your theme rocks! unity doesn't seem to recognize your theme!! ;( ... i moved the director reNIX under /usr/share/themes, but it doesn't work. did i make some mistakes? Try to extract the directory in home/yourusername/.themes. 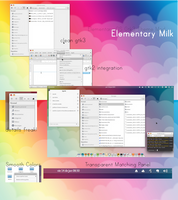 Don't forget to select the theme with your tweak tool (ububtu tweak, MyUnity, Gnome Tweak Tool, etc.). i'll try! but usually when i put themes in that folder the system doesn't seem to recognize them! by the way thank you so much for the reply! I love the simplicity of this theme! what is the wallpaper in the first screenshot? 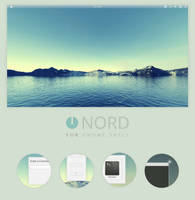 I've been looking for a long time to find a Unity/Ubuntu replacement theme and this is the first one I've found that I actually like and can regularly use. So thanks for the effort! - there are some things that need to be tweaked, like toggling the 'search' button in nautilus makes it unreadable because of the dark text on dark background combination. Thanks! I have fixed the search button issue in Nautilus. I have to considerer the other suggestions. Thank you for your comment! Truly a wonderful substituent for people who don't want to use emerald and who want window titles. Hm. I really hope this gets fixed. It looks great! Sorry, I don't know what is the problem, so I don't know how to fix it. 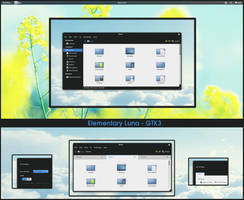 But I have now included an alternative metacity theme that works in Gnome Shell (reNIX GS). It doesn't work the window theme. 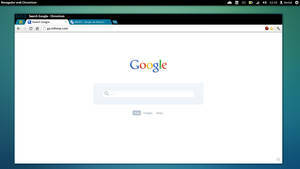 Does it works in Fedora 17? True, I have tried it in ubuntu with Gnome shell and the window decoration doesn't works. Sorry but I don't know what is the problem. 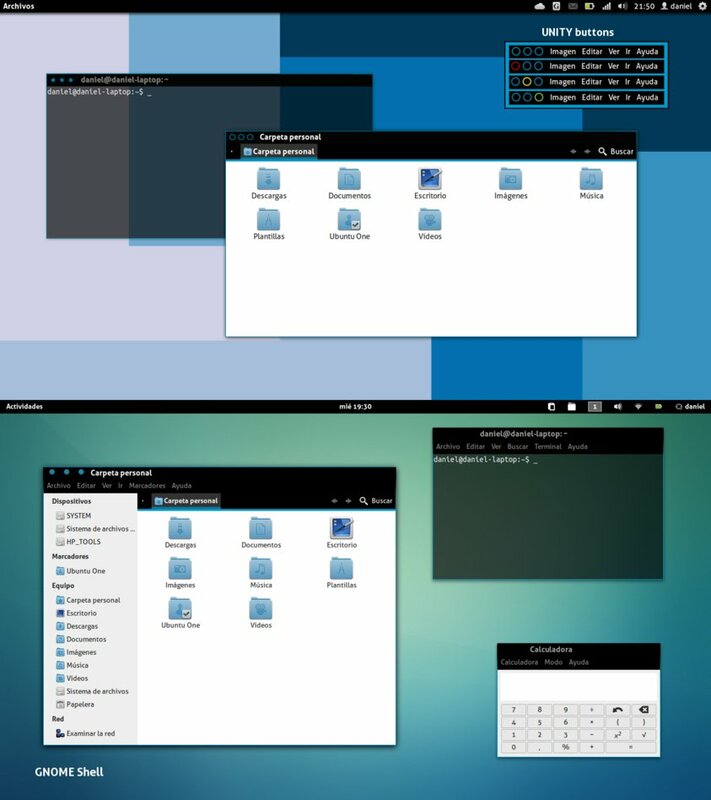 It is a metacity-1 theme, so I think it must works both in Unity and Gnome shell. But it doesn't. I hope somebody else know what is the problem and how to fix it.